Trace Lofts presents an incredible opportunity to “live urban“. Once home to a number of different businesses, Trace seems to be in the center of universe for Capitol Hill residents. A built green project of 142 open spaces, Trace built by RAFN sits in the Pike/Pine Triangle in Capitol Hill. With studios, one and two bedroom homes, Trace offers a variety of living options with floor to ceiling windows, urban and city views, cork flooring, stainless appliances, gas cook-tops and reserved parking. 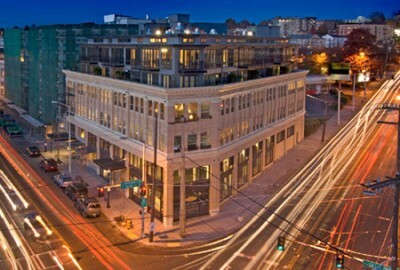 Its creative architecture, boutique retail and phenomenal location makes Trace a contender on the list of Capitol Hill’s best condo projects.